Greetings! For all of you that are still reading and following the story and wondering where we’ve been, thank you! There have been lots of changes and exciting things happening with the book and life in general. 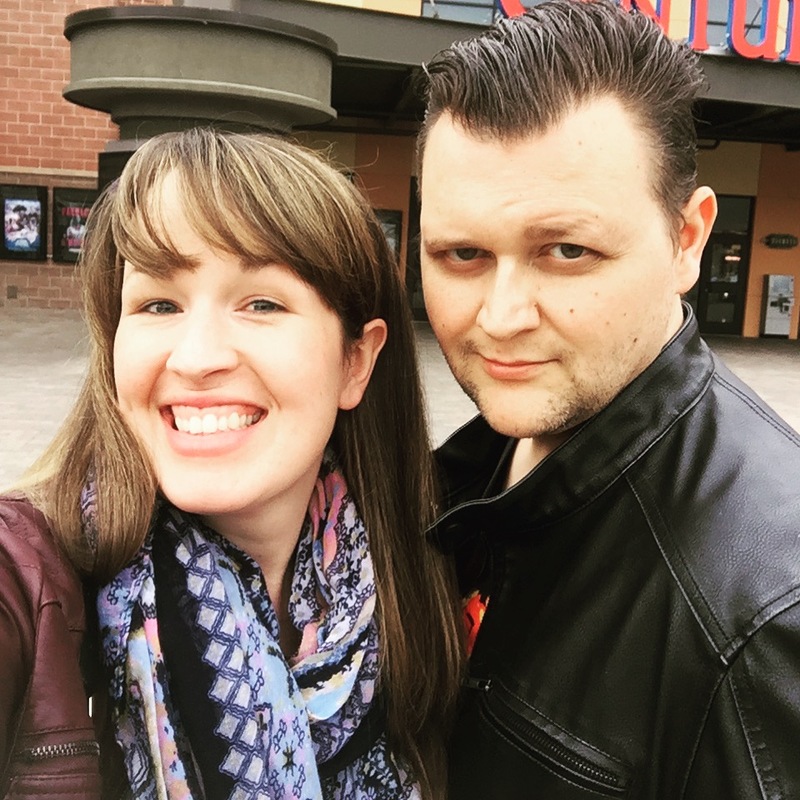 As William has become increasingly busy with the book art, I, Leah his wife, will be doing the updates to keep people in the loop. Let’s jump right in! 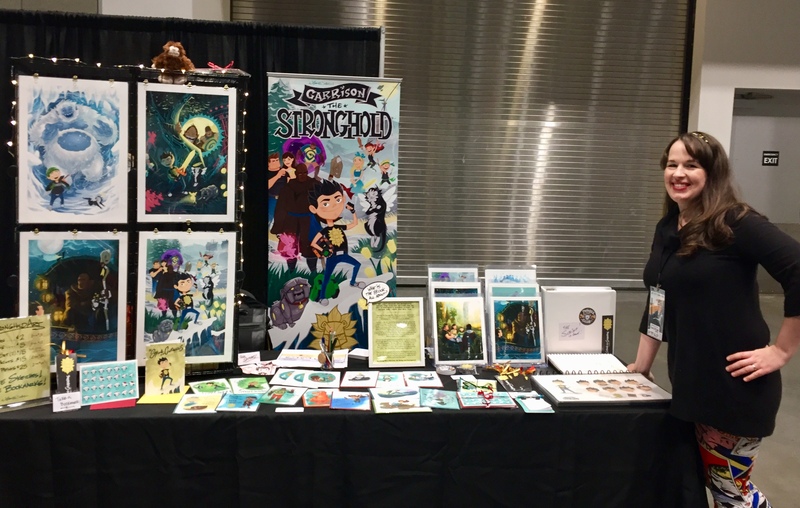 Since last September, we were able to attend Jet City Comic Show here in Tacoma at the convention center to promote the book. 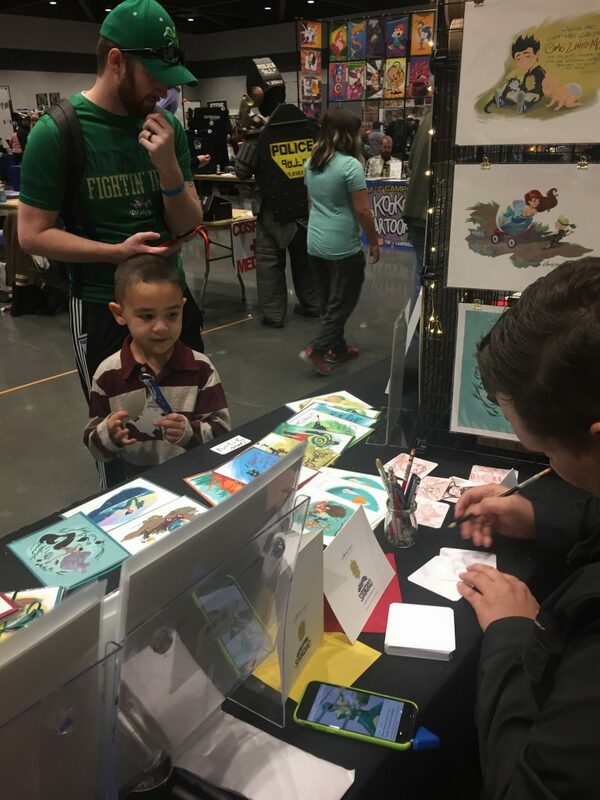 It was a positive experience as we received a lot of interest and support from many individuals and families. 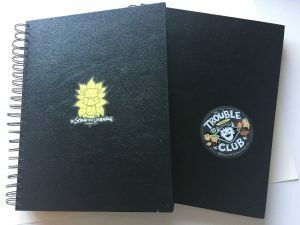 We handed out lots of free bookmarks, sold prints, cards and “Trouble Club” stickers (More on the Trouble Club Later) and we were very happy with the show. 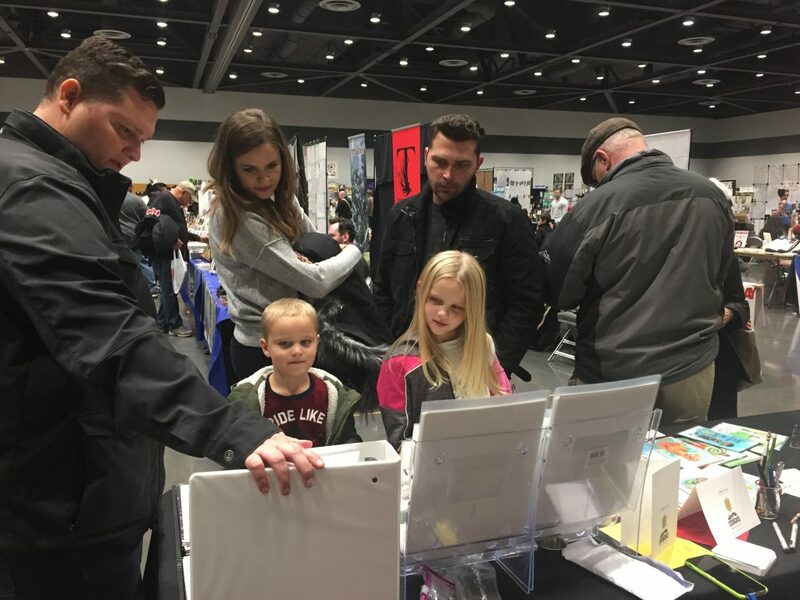 Our families also came to visit us from the area to see our booth which was a huge blessing! Thanks again for those that were there to support us! The heaping finished script and start to the layouts. The script for the book has been rewritten, thoroughly edited and completed since last year. There’s still some key decisions to be made about the biblical aspects and story points of the book that are in process. William has sought counsel from test readers and friends and has gained some Godly wisdom to continually tune the fine points as the art comes together. 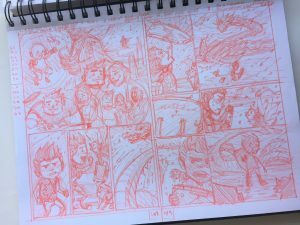 William has been finishing the many layouts of the book. 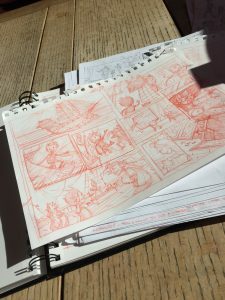 The purpose of the layouts is to translate the script to page and make decisions about pacing, storytelling and shot composition so that when the high resolution full scale work is made, most of the strategy is out of the way and William can focus on making each panel the best it can be. 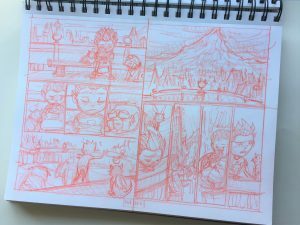 The book has a lot of moving parts with many characters and scene changes so planning has been instrumental in going forward. 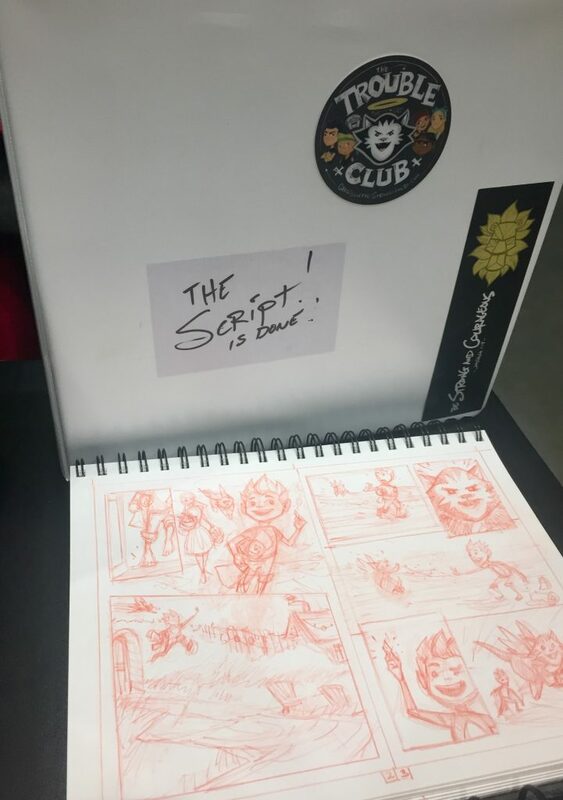 In addition, the layouts have been scanned and William will be working on a color script; similar to what’s done in the animation studios William will be doing quick paintings of key scenes throughout the book to help understand how color will change and add to the story. 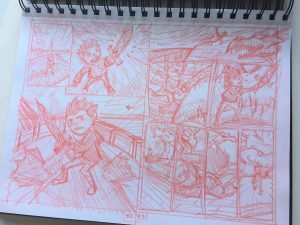 The layouts total 212 pages of loose art, now that it’s complete William can finally get started on the long haul of the actual book art! 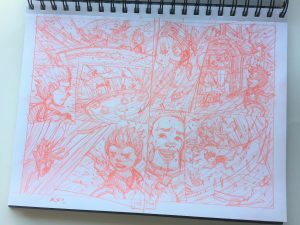 Assortment of layout art pages from the book. Click on each one for to see the amazing detail! Could you guess what’s going on here? Even thought it’s been a lot of hard work over the last 8 to 9 months and even though we’ve been quiet all this time we have been preserving through it among whatever else life has been handing us. William’s been pressing through even though he’s not inspired all the time to work on the book but we know that God has given us this story to share with others and we’re the only ones that can do it! 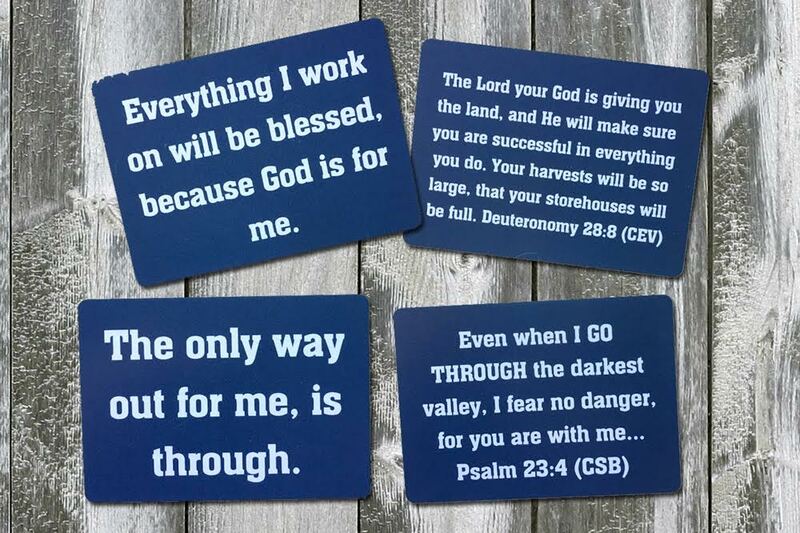 These are some devotional cards that William has that have helped him through the journey to stay motivated despite all the hard work he’s had to get through. They have an affirmation on one side with a scripture on the other. 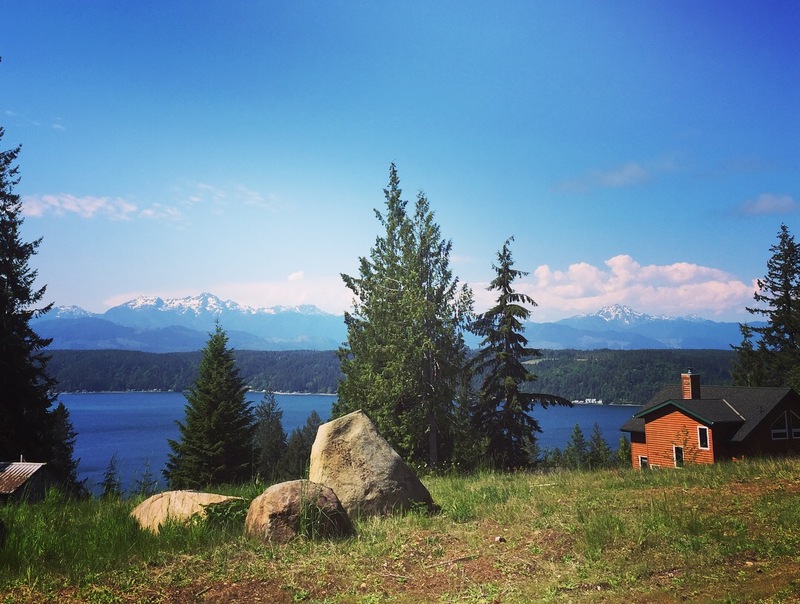 Taking in God’s blessings, Olympic Mountains May 2018. We have a lot to look forward to in this next season of life and pressing on towards finishing the book. We hope you enjoyed reading our update, hopefully we can be more consistent with it in the future! We thank you all again for your continued support and interest in our story and hope you have a wonderful summer whatever you’re doing. We’ll be enjoying our fire pit in the backyard, barbecuing, going on long drives and savoring as much sunshine as we can get. 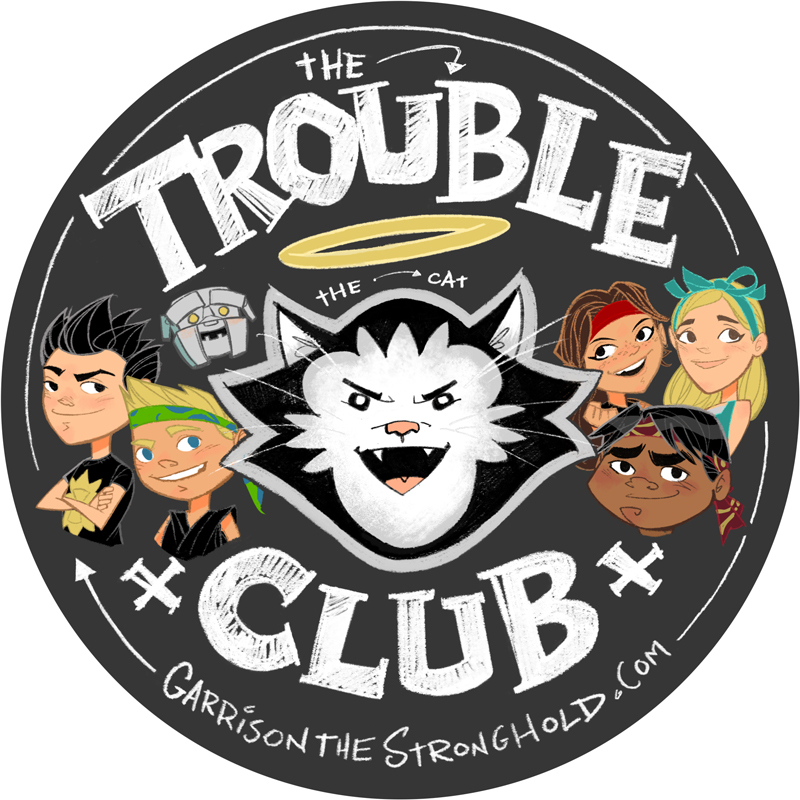 Do you want to be part of the Trouble Club? Please sign up for email updates if you haven’t already and stay tuned! Also check out our Etsy store where you can purchase all of William’s amazing, handmade art prints and cards! What a wonderful recap! Thank you Leah.